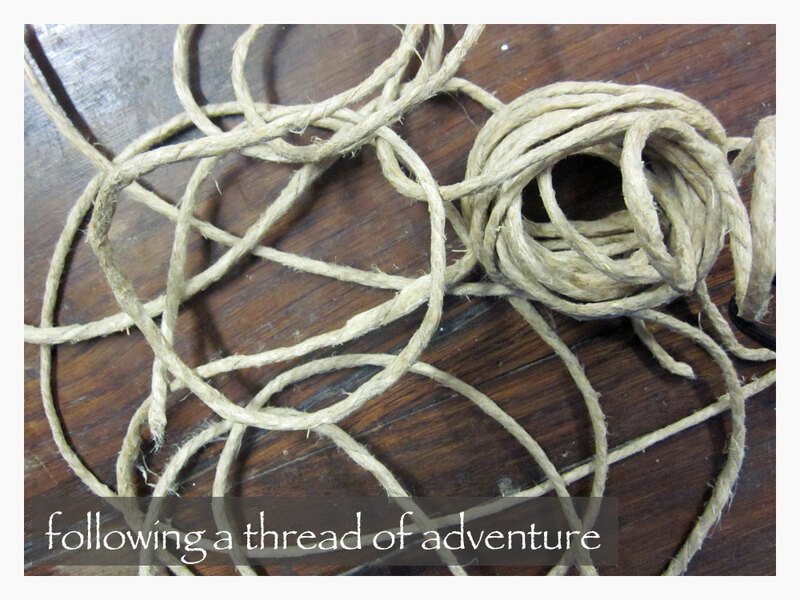 We like to play a little game called Follow That Thread. It’s really simple and great fun because we never quite know where things are going. It’s also good exercise for slowing down, paying attention and trusting the process. It leads to the most curious things, but to make it work, judgment has to be suspended—accepting whatever shows-up. It feels like wandering through back streets and alleys to discover new places and things. Here’s an example of a thread I followed a couple of weeks ago. One early morning we awoke to a crisp fall breeze gently blowing through the open window. I glanced out over pink and gray striped clouds layered across the dimly lit Tuscan sky—a typical autumn day. 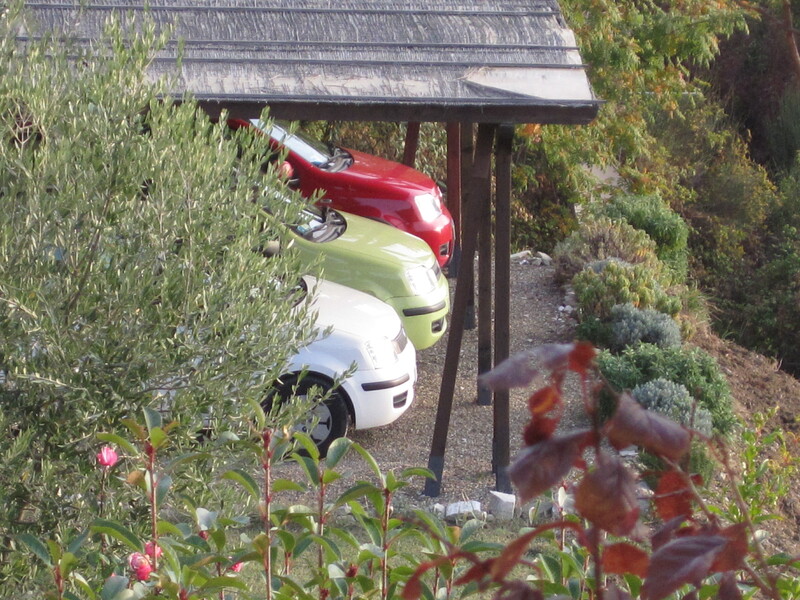 While standing at the front window, I noticed something different in the neighbors’ parcheggio, covered parking. They were apparently hosting a guest who had parked a white car alongside their two Fiat Pandas. What a sight—three identical Pandas lined up like the stripes of an Italian flag—red, green and white. How strange! Synchronicity? Coincidence? Hmm. The sight of the 3 vehicles caused me to pause and reflect for a moment. My mind wandered through the meanings and imagery of the familiar flag. It, of course, represents the pride of Italian heritage: the red stripe stands for strength, passion, and bravery; the white band symbolizes peace and honesty; and the green represents hope, love, and joy—and faith. Speaking of faith . . . that thought led me to ponder the centuries-old influences of the Roman Catholic Church on the culture here. 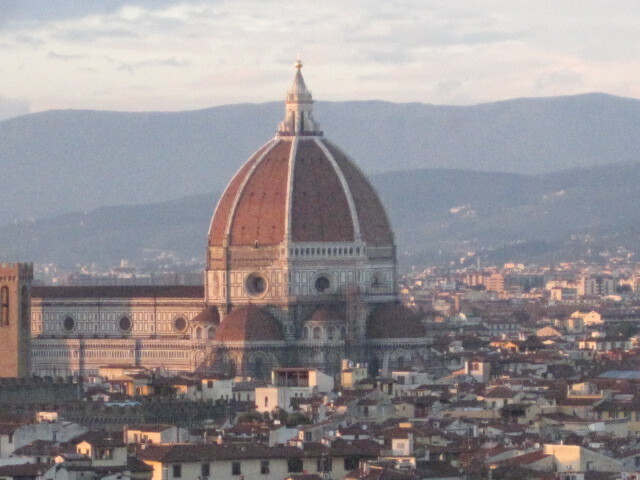 Immediately, my mind flashed to images of the Duomo, The Florence Cathedral. Then, I remembered that it was November 1st, a very important holiday in Italy: Ogni Santi, All Saints’ Day. The night before was “All Saints’ Evening or All Hallows’ Evening,” which over time has been transformed into Hallows’ Evening . . . and finally Hallow e’en. For a few minutes I reminisced about when I was a kid celebrating Halloween in the US. Maybe the tradition of trick or treating is motivated by some candy maker. All I know is that it was the chance to be ghoulish and frightening. Suddenly I felt compelled to sit down at the computer and “surf the net.” Following the idea of hauntings, I stumbled onto a rather spooky video performance by Dr. Ralph Stanley singing: O Death – 2008, which really ooked me out. From the first video, I then found a second unusual clip, probably 40 years old, with Johnny Cash and Joni Mitchell singing The Long Black Veil. Both clips were appropriately disturbing—perfect! 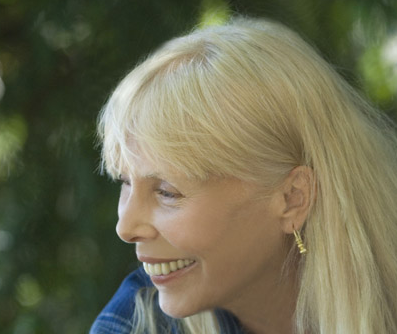 We’ve always enjoyed Joni Mitchell’s songs, so I instinctively followed that thread to a video of her playing piano and singing Woodstock (which she wrote without ever setting foot on the farm). I got a bit dreamy as I listened to her swirling voice reweave that story for me once again. When I came out of my swoon, I focused my eyes again on the screen. There was Joni with Graham Nash. One click more took me to a photo of her sitting next to young David Crosby. They were old friends . . . we were old friends through their music, so many years ago. 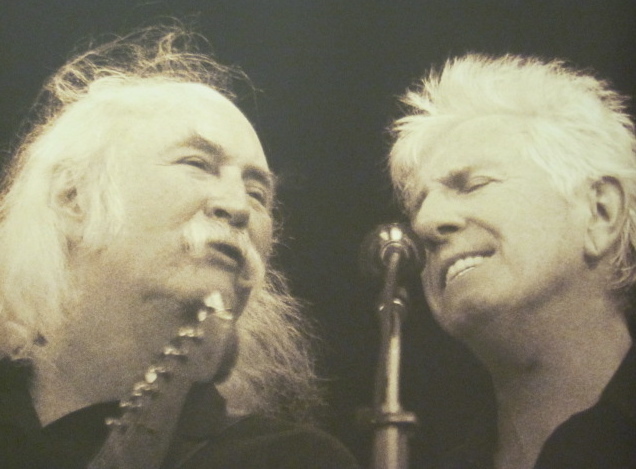 Then suddenly, while peering into the photos, I remembered that we had bought tickets for a concert—featuring, none other than Nash and Crosby. We thought it was somewhat curious that a concert would be scheduled for All Saints’ Day. But sure enough, on that very night, they were to appear in Florence’s wonderful historic theater, Teatro Verdi. Strange that I would stumble upon the pictures of Joni Mitchell with the two of them. Coincidence? Maybe, maybe not. So, what does this particular thread-following mean? I have no idea. Maybe it’s odd that I saw the Italian flag in 3 small cars. But I did. Thoughts are like dominoes—when one tumbles, it sets up the others. Strange sequence? Who knows? All it takes is a little interest and some imagination. Running down the road of fantasy and chance usually results in some pretty fascinating connections. I think Freud called it “free-association,” the passing of thoughts without reservation. Or was that Carl Jung’s phrase? See how Follow That Thread works? That little sequence renewed my interest in our silly game. 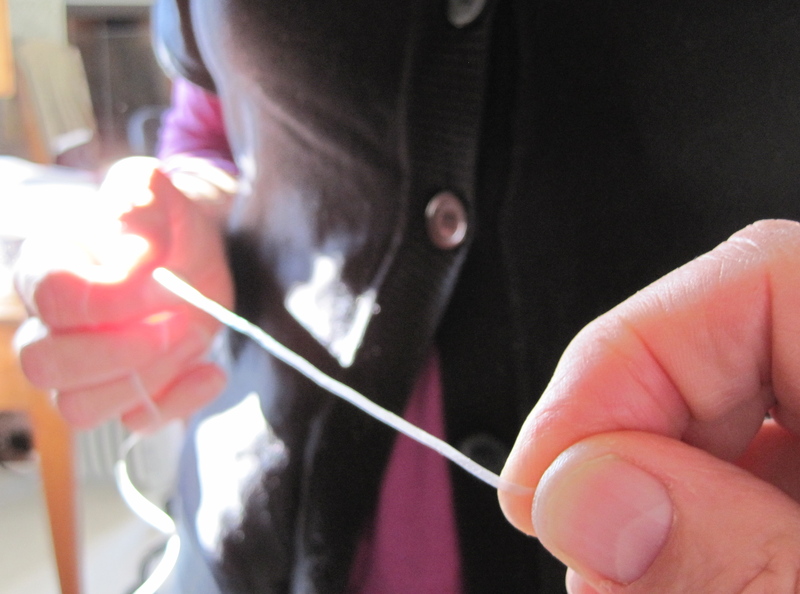 We never really know what fascinating discoveries, associations or relationships await us at the next click of a computer mouse, or pausing on a random thought—to slightly tug on that invisible string that somehow connects us all. Note: You may also enjoy our music called “Loophole” which is about the idea of following a thread of creativity and spontaneity.